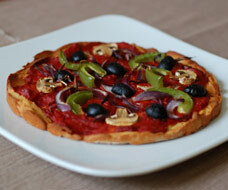 These recipes have been created using the priciples discussed on this website. They are all place an emphasis on using anti-inflammatory foods, whilst avoiding those that can cause inflammation. 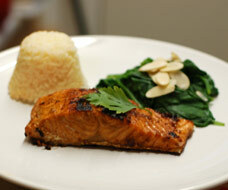 Beatifully cooked wild salmon marinaded in a Japanese style sause. The old favorite is made with a twist; it's wheat free and gluten free. Made with a generous helping of anti-inflammatory ingredients. 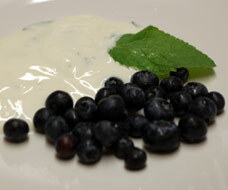 Raw blueberries make a great healthy dessert, but they are really brought to life with a little added mint yogurt.